Wasps Netball are looking to secure a top-four finish this Easter weekend in a Vitality Netball Superleague double-header at Ricoh Arena. The Black and Golds are currently in second position in the table and trail league leaders Manchester Thunder on goal difference. Mel Mansfield’s side face Surrey Storm on Saturday 20 April (5pm centre-pass) and challenge Celtic Dragons the following day (2pm centre-pass) – with both games taking place at Ricoh Arena. The fixtures form part of the bumper Big Easter Weekend in Coventry, which will see six teams compete in five matches across the weekend. Head Coach Mansfield says her team come into the weekend in fine form and in the perfect position with four games remaining in the regular season. “We’re in a really good position and it’s in our hands,” said Mansfield. “To go into Easter weekend joint-top, with two goals separating us from the league leaders, you can’t ask for more than that. “The win against Saracens Mavericks on Monday was huge. Beating Team Bath prior to that was vital too. We have played some brilliant netball recently and the team are very confident right now. This weekend will be the only occasion this season that Wasps have played Superleague fixtures on consecutive days. The two matches will mark the final regular season games of the campaign at Ricoh Arena for Wasps. Mansfield is looking forward to the challenge and says it will give her players a chance to spend time with each other away from the court. She said: “It’s a great opportunity for us to have some social time together in Coventry. “One of the reasons why this group has seen success in the last couple of years is that they all enjoy each other’s company – which contributes to a strong team culture. “We’ve got great strength in depth in our squad and that is a big bonus for us this weekend. It allows us to use that depth to give players adequate rest and recovery. “We’re well aware that facing Surrey Storm and Celtic Dragons will be tough fixtures as we look to secure that top-four spot. Saracens Mavericks and Celtic Dragons will feature in the second match on Saturday, with Surrey Storm v Severn Stars and Team Bath v Saracens Mavericks completing the schedule on Sunday. In March, Celtic Dragons travelled to Glasgow to take on Strathclyde Sirens. It was Dragons’ furthest away trip of the season and they wouldn’t have been expecting big away following, however, one fan did the job of a hundred and cheered on his side to a fantastic victory. Jamie Burch took on the home crowd and made his voice heard over the top of hundreds of Sirens fans. His enthusiasm and encouragement didn’t go unnoticed with several Dragons players taking to social media to thank Jamie for his support. 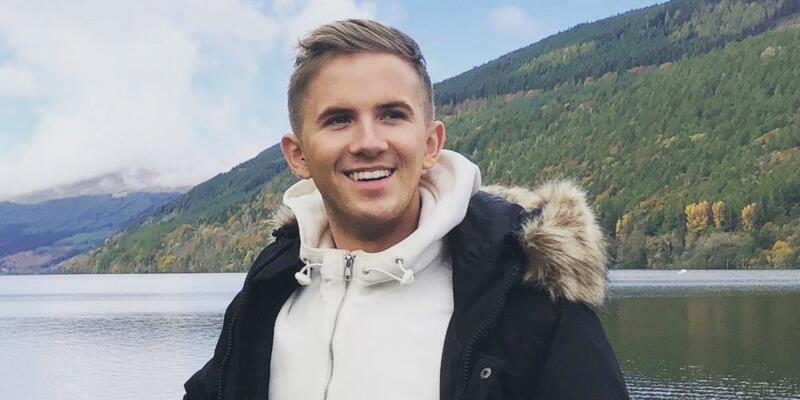 Ahead of the reverse fixture, we caught up with Jamie to find out more about his story, how he thinks the Vitality Netball Superleague season will go and his love of netball. So, firstly how does a Dragons fan end up in Glasgow? I’m currently studying Acting at Drama School at the Royal Conservatoire of Acting. How long have you followed netball and Dragons for? I’ve been following the netball since I was 14, I’m now 22. I’ve been a Dragons fan for over 3 years. How was it being one of the only Dragon fans at the venue? I genuinely think I was the only Dragons fan there that night, which is understandable as it was so far. I didn’t really just think about it. If anything I think it would have only made the Dragons play better having the loudest Welshman there. I was competing against groups of people, and school children. I was on my feet. People were recording me and Facebook living me. That was Dragons’ first win over Sirens (third attempt) and the players reached out on social media to say how much they appreciated your support. How does it feel knowing you contributed to their victory? Well, I had no clue until my friend who’s in the Welsh Netball set-up sent me a screenshot. I was grateful, was just doing my job for the girls. They do their job, I do mine. What do you remember from the game? Is there a particular moment that stands out? Do you have a favourite player on the Dragons side and why? It has to be Nia Jones for me, she’s so tenacious and scrappy and is always contesting. She’s so vocal and a real character in the league, on and off the court. She is our very own Sharni Layton who I adore. Who do you think will finish in the top four of the Vitality Netball Superleague? Wasps, Saracens, Manchester Thunder, Team Bath if they get Serena Guthrie and Eboni Usuro-Brown back in the squad, but if not Loughborough Lightning. You’re a huge netball fan, what is it about netball that you love so much? I always played it in primary school, stopped at high school and sometimes play mixed league. For me, I love the speed, the strategic side of the game and the player on player marking. Everyone always questions when I say netball. But once they watch it and see these women put their bodies on the line they take it back. Strong women killing it! 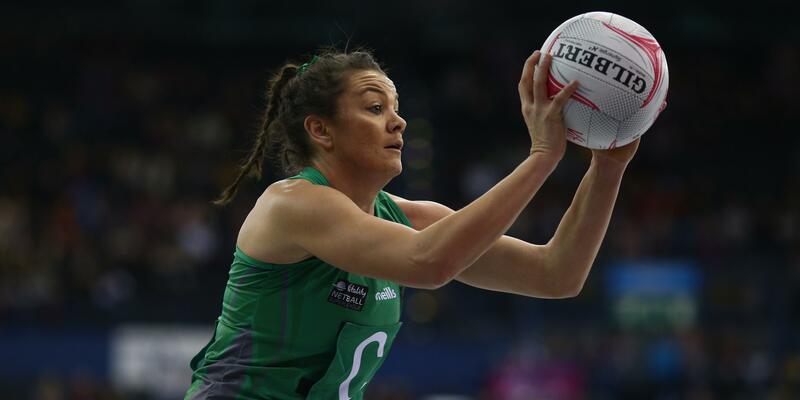 Kyra Jones, Celtic Dragons centre, has announced that she will be retiring from Vitality Superleague netball as of the end of the season. Jones has been a Celtic Dragons player since the 2009/10 season, spending her whole Superleague career with the Welsh franchise, with the exception of 2015 when she spent a season over the bridge at Team Bath. She started her career with Celtic Dragons as an ‘import player’ before qualifying to represent her adopted nation of Wales in the 2011/12 season. In her time with Dragons, Kyra has played in excess of 150 Superleague matches and has over 50 Wales caps to her name. 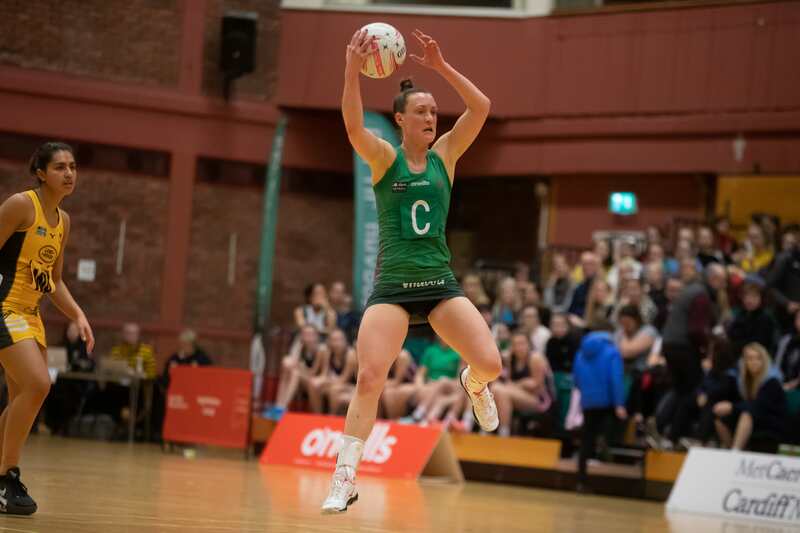 As well as representing Wales in numerous Netball Europe tournaments, international tours, the 2015 Netball World Cup and 2014 & 2018 Commonwealth Games, she also played a leading role in Celtic Dragons’ grand final season in 2013. Announcing her imminent retirement, Kyra wrote: “It is with heavy heart that I announce my retirement from the Celtic Dragons and the Superleague. “It is amazing to think that had I not started as an import player, I would have never had come over, met my husband and stayed to play in this netball league! It has been a whirlwind of a journey and one I am very proud to say I have thoroughly enjoyed. “From the highs and lows of each season: injuries, selection, non-selection, meeting new people and making friends for life, it has been a pleasure to be a part of and I can’t thank Celtic Dragons enough for their continued support over the past 10 years. 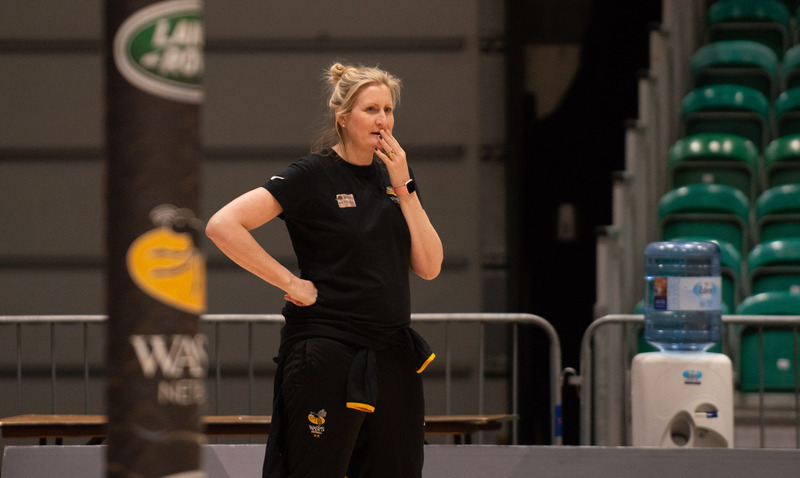 Reflecting on Kyra’s announcement, Tania Hoffman, Celtic Dragons head coach said: “Kyra has been a vital member of the Celtic Dragons franchise for many years. Her desire to continually challenge herself is one of the aspects I admire her for and is something that younger players can learn from her. Kyra’s final home game (subject to selection) will be Saturday 27 April against Surrey Storm and her final Superleague match (again, subject to selection) will be Saturday 4 May at Loughborough Lightning. Although stepping down from Superleague netball, Kyra remains a member of the Wales senior long squad.